The Dubai Tennis Championships 2018 is also called as the Dubai Duty Free Tennis Championships because of sponsorship. It is an ATP World Tour and WTA Tour combine tournament under the categories ATP 500 and WTA Premier. Both tournaments will be taking place at the Aviation Club Tennis Centre in Dubai, United Arab Emirates. The men’s tournament will be starting on 26 February to March 4, 2018 with featuring 32 singles and 16 doubles draws, while the Women’s tournament will be taking place before the men’s event on 19 February to 25 February 2018 with 28 single and 16 doubles draws. 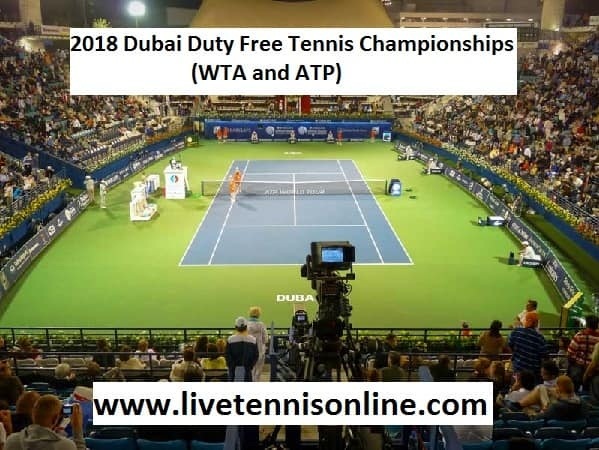 The prize money for WTA tour will be $2,000,000 and for ATP World Tour total purse will be $3,057,135.Watch 2018 Dubai Duty Free Tennis Championships HD live streaming on your PC, laptop and other smart devices from all over the world.